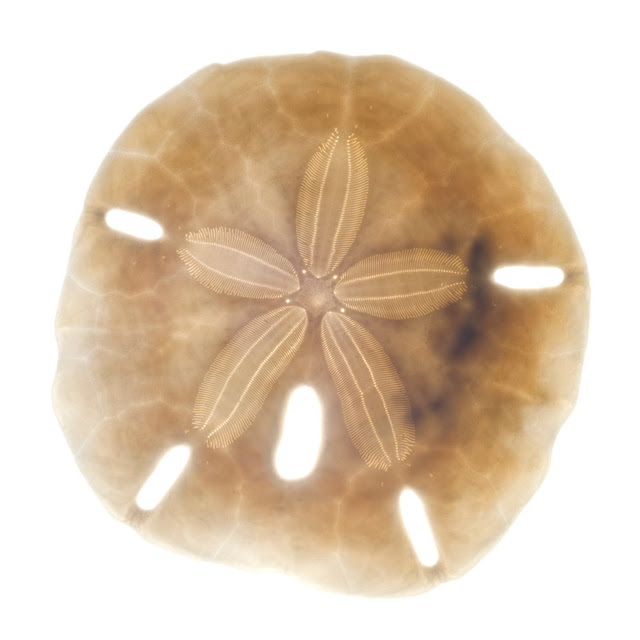 This somewhat strange looking specimen is a Sand dollar. 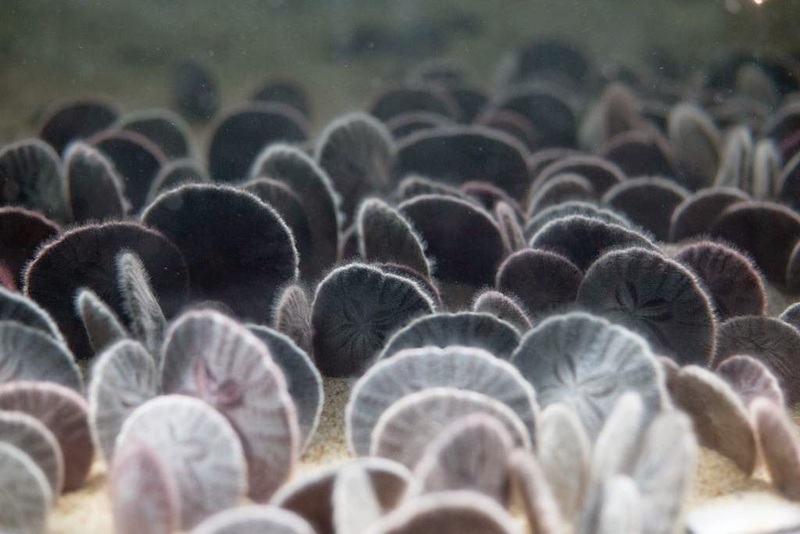 It is a sea urchin which burrows and comes from the order Clypeasteroida – and you can see why it gets its name, as it resembles a coin. Some joke that it is the only stable dollar in the world at the moment. Humor aside, it does have one trick up its sleeve that we can only wish would apply to real money. It can clone itself – creating a perfect copy. Bizarre, but true. 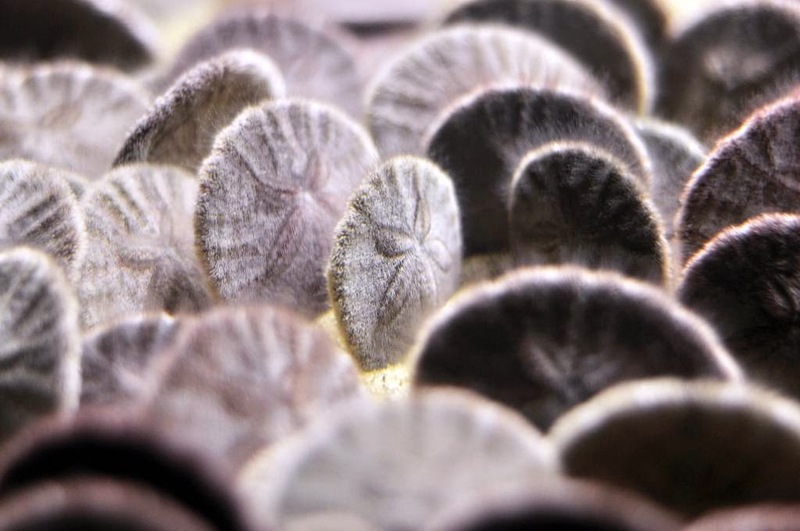 A few years ago scientists discovered that the larvae of the Sand dollar are able to clone themselves. 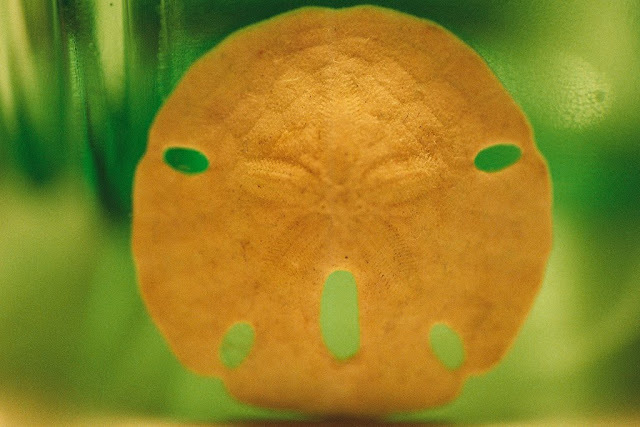 When they were exposed to the mucus of their natural enemies – fish – they demonstrated a unique defense mechanism. They cloned themselves which meant more or less that they halved their size. It is thought that this new smaller size helps them to avoid detection by fish and so increase their survival chances. Of course, they are not the only animals who do this. Starfish in their adult phase can clone themselves by literally tearing off a piece of themselves. However, they now know that sea urchins and sea cucumbers can also pull of this feat. Whenever they come across an abundance of food or temperatures which help them grow well they will create a gang of clones to take advantage of the conditions. 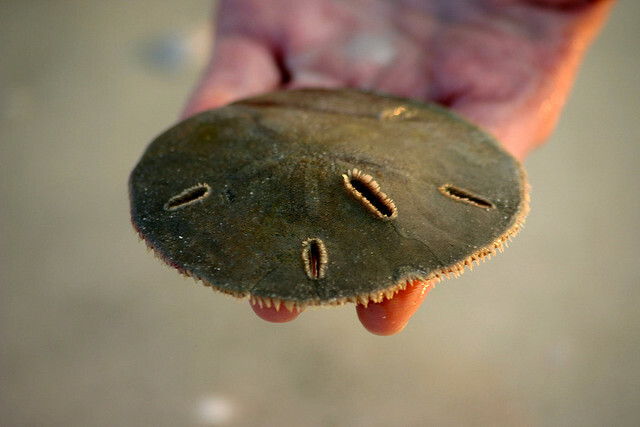 However, the sand dollar is the only creature known to do this for purely defensive reasons. If they effectively halve their size then the fish cannot see them. The cloning process does take a few hours but scientists speculate that it happens when the larvae detect the mucus of their predators rather than when they catch sight of the fish itself. They start to split themselves as soon as they detect them mucus and by the time the fish actually arrive they are, to all intents and purposes, invisible. This does have a down side, of course. 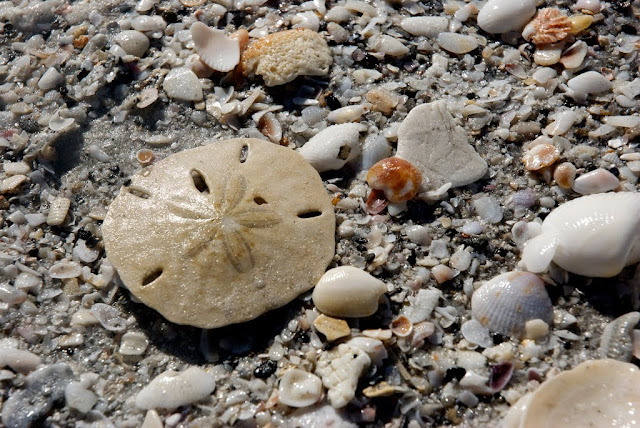 It does create a whole new set of enemies, such as crabs who prefer the smaller sized sand dollar. 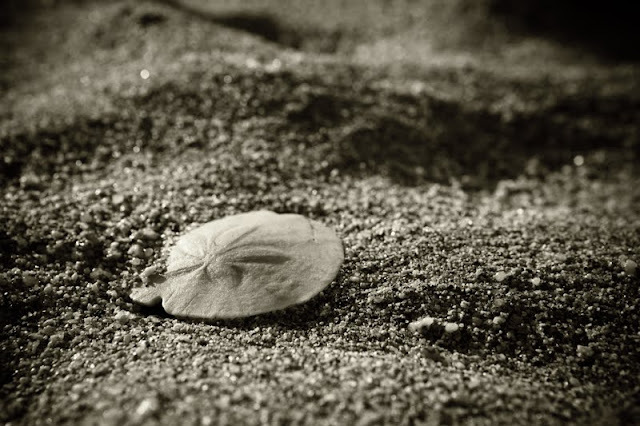 The crafty sand dollar seems to have an answer for this too. 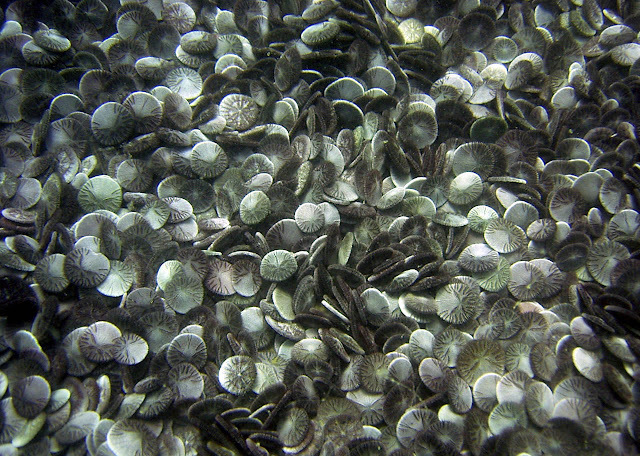 Sand dollars are group creatures and bunch up together where the little guys are afforded protection by their larger brethren. 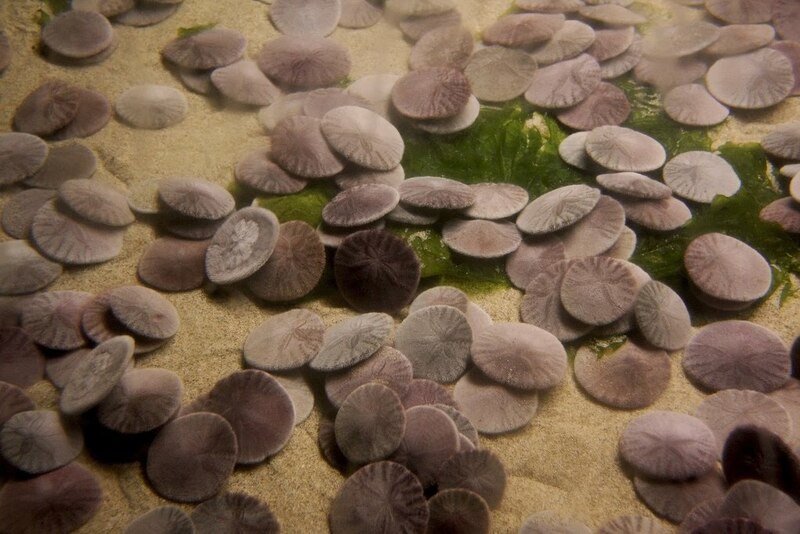 The sand dollars that children collect are beyond this sort of strategy. 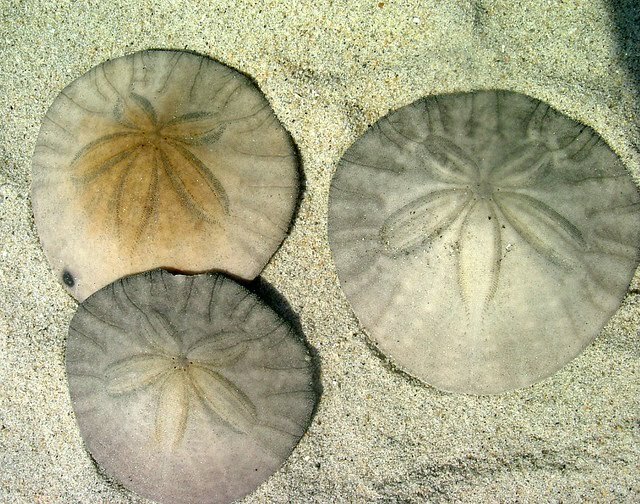 Those disks that looks so fragile are the skeletons of the sand dollars that have gone up to the fishy bank in the sky. 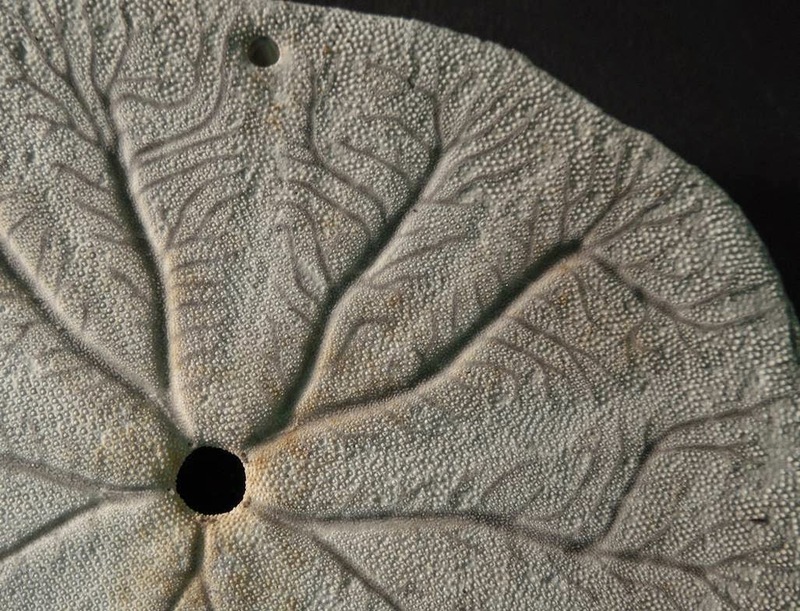 The skeleton of a marine animal like a sand dollar is also known as a test. 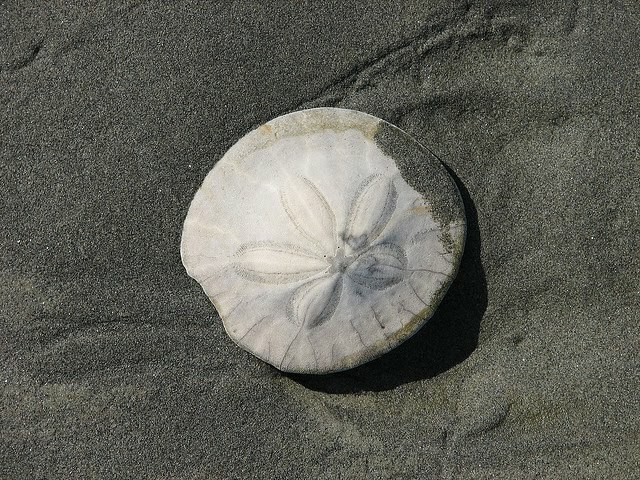 It has lost its spines by the time it arrives on the beach and has a bleached appearance. No wonder children believe that the mermaids have lost their spare cash – they do not look as if they have ever been alive by this point. Yet they certainly were alive. 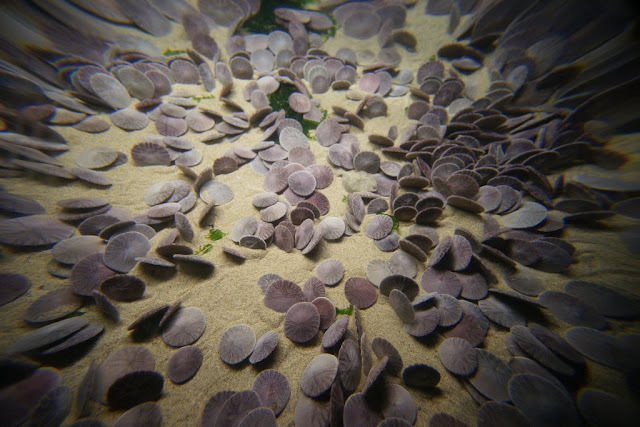 Often found in large groups (we are not sure what the collective noun is for the species – perhaps a bank of sand dollars?) they stick together for reproductive purposes (they can only clone when juvenile, after all). There are two sexes and the gametes are released in to the water and fertilised there. Until the test forms the larvae swim around: after they retreat to the bottom and live there. 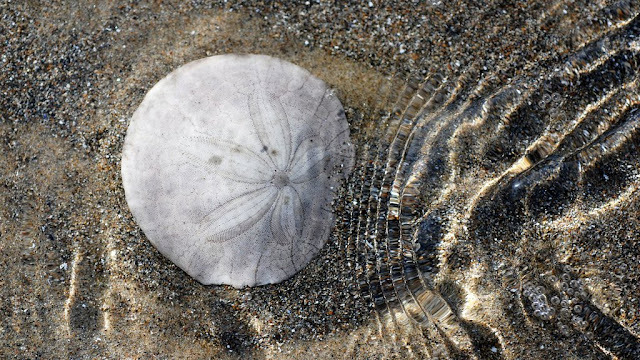 So, when you are next beach combing and come across the test of a long dead sand dollar, spare a thought for its troubles (even though they were never financial) and perhaps you might find its clone too.